Modern technology has given today’s dentists a useful tool that can help them detect oral diseases such as cancer and pre-cancer lesions. An innovative hand-held device, VELscope detects cancer in dental patients, identifying mucosal abnormalities in their early stages before they become visible in everyday lighting. It is highly effective in locating unhealthy tissues in patients. VELscope Detects Cancer in Dental Patients: How Does It Work? Using a non-invasive procedure the VELscope detects cancer by shining a blue light into the individual’s mouth. This light is safe, and it stimulates natural fluorophores. This process increases the contrast between abnormal tissues and normal ones, enabling your dentist to use the VELscope to detect cancer that cannot be seen by the human eye. In particular, the VELscope detects cancer that is not visible during the traditional white-light examination for soft-tissue abnormalities. Used specifically as a visualization tool for the purposes of identifying tissues in the oral cavity that are unhealthy, the VELscope detects cancer in its early stages, including when it is pre-cancerous. It is not a diagnostic tool, so it only identifies unhealthy tissues that must be further investigated. Assisting healthcare professionals in their quest to deliver better oral health for their patients, the VELscope detects cancer before it has time to develop a stronghold. This unique opportunity makes it possible for people to seek medical help for various types of oral cancer at an earlier point in time than they would be able to do using traditional equipment and techniques. Likewise, this device can be used to locate various unhealthy soft-tissue diseases that are present in a patient’s mouth, enabling early treatment planning. A study conducted by the University of Washington recently shed new light on the capabilities of the VELscope. 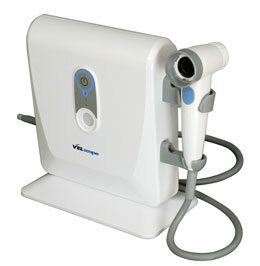 In addition to the VELscope’s ability to detects cancer, the results of the study suggest that this device can also discover the following mucosal abnormalities: salivary gland tumours, squamous papillomas, lichen planus, inflammatory lesions, infections (bacterial, viral, and fungal), and lichenoid reactions.